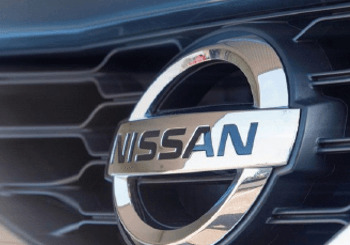 Nissan’s Chief Planning Officer and Executive Vice President, Andy Palmer has been named in the Queen’s New Year Honours list. The impressive award was given in recognition of his services to the British automotive industry. Palmer was titled a Companion of The Order of St. Michael and St. George (CMG). The Order of St. Michael and St. George is an order of chivalry which was founded on the 28th April 1818 by George, Prince Regent, later King George IV. This was at the time that he was acting as Prince Regent for his father, King George III. The Order is awarded to men and women who render extraordinary or important non-military services. In addition it can be conferred for important or loyal service in relation to foreign and Commonwealth affairs. The Order is named in honour of two military saints, St. Michael and St. George. The award highlights the vital role Palmer has played in championing the UK as an automotive manufacturing base. He has championed the UK by bringing numerous significant projects to the UK, he was able to do this because of his extensive knowledge of the nation’s manufacturing. As well as this Palmer has established partnerships with Infinito and F1 team Red Bull and Nissan’s alliance with Williams Advanced Engineering. Back in 2012 Palmer was honoured in the annual Auto Express Brit List, they named him as the most important Brit working in the car industry at the time. Andy Palmer born in Stratford-upon-Avon is a British chartered engineer and businessman. His role at Nissan requires him to report directly to Nissan’s President and CEO. Palmer received a Masters Degree (MSC) in Product Engineering from the University of Warwick in July 1990 and a Doctorate (PhD) in Management from Cranfield University in April 2004. As well as this Andy Palmer holds a Diloma in Industrial Management from Coventry University and in 2010 palmer received an Honorary doctorate of technology from Coventry University.